Mr Minx and I are not steakhouse people. The last time we dined at one, we were extremely disappointed by the gristly meat and frosty service. But recently I received a $50 gift card to Fleming's, courtesy of American Express, and we couldn't not use it. 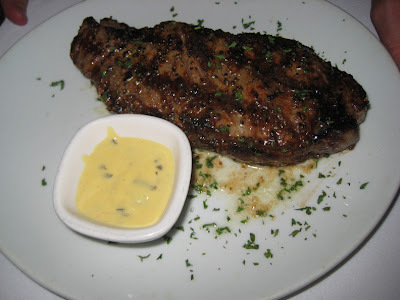 So off we went to Harbor East, ready to tackle a good steak this time, since Fleming's only serves beef graded USDA Prime. 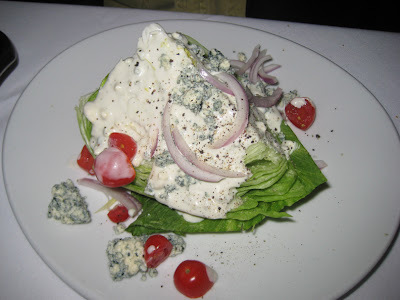 Mr Minx went for a classic steakhouse pairing of wedge salad and NY strip. Just to be different, I ordered the Fleming's salad and the pork rib chop; we shared an order of chipotle cheddar mac and cheese. 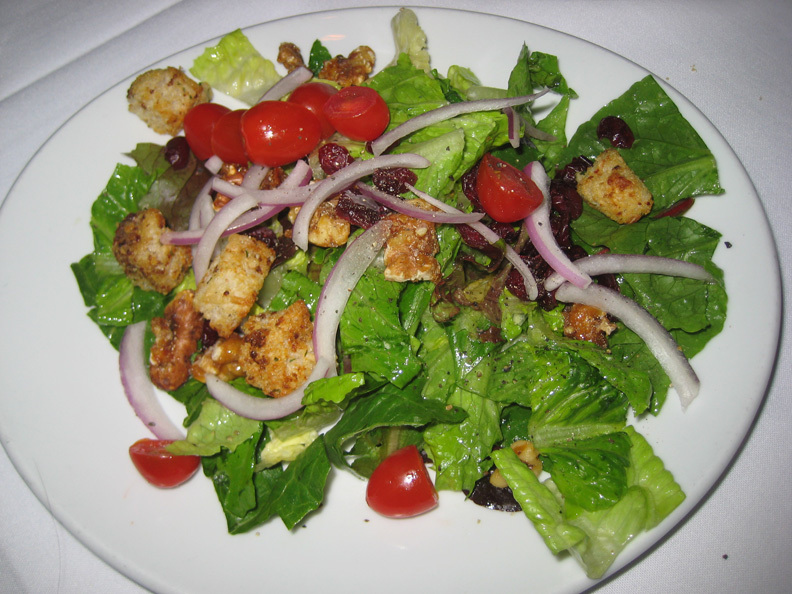 Salads are salads - unless they have some oddball ingredients, there's really not that much to say about them. Both of ours were fresh, well-dressed, and tasty. Now on to the important stuff: the meat. Fleming's really knows how to cook meat. Not only was Mr Minx's huge NY strip perfectly cooked to medium rare, it was flaming hot. Yet, it was obvious that the meat had rested, since cutting into it did not cause a blood pool on the plate. The meat was nicely seasoned and flavored with a bit of rosemary. I like a little more char on my steak, but really couldn't find any fault with this one. It was nice to have a bit of bernaise sauce on the side, but it wasn't needed at all. My elephantine pork chop was a pretty pink in the middle - the medium I requested - and was tender and juicy. I didn't care much for either the accompanying apple cider and mustard glaze nor the julienne of apple and jicama: the sauce had a burnt sweetness and wasn't mustardy enough; the texture of the jicama was odd. 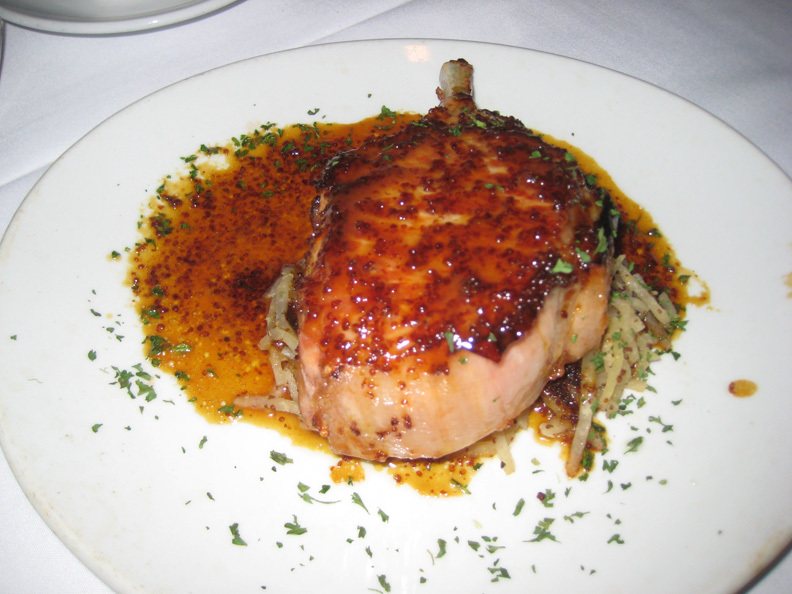 But those are personal observations - the pork chop itself was lovely. And did I mention it was huge? I could only eat about a third of it. 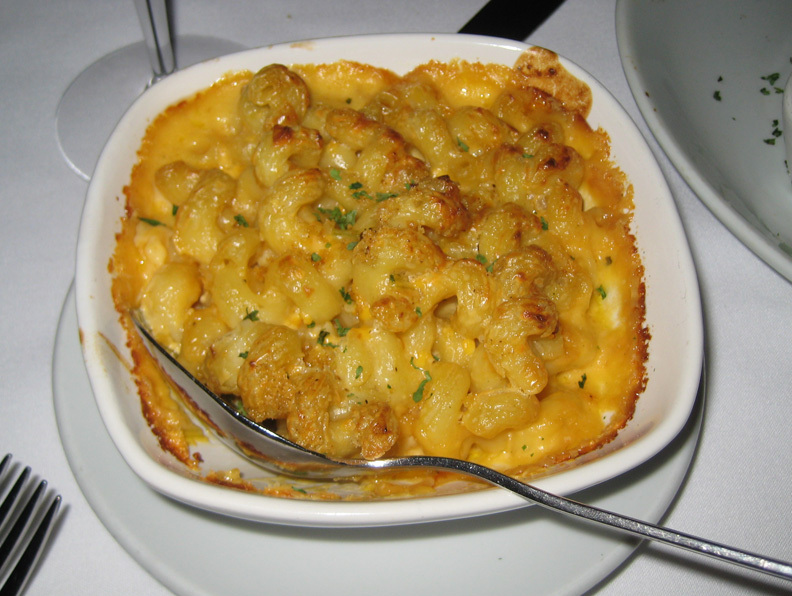 Also lovely was the mac and cheese, which was cheesy, gooey, and smoky without being spicy hot. Honestly, the best $50 I ever saved. Fleming's is going on our list of special occasion joints, for when we're feeling the need to celebrate with a big ol' slab of meat.